Bralettes are essentially the comfortable answer to annoying and painful bras. They are lightweight and easy-to-wear, but they don’t provide a lot of support if you typically wear a larger bra size. If bralettes are right for you, they are great because they can be worn in a variety of ways. To wear a bralette, find the right bralette for you and then choose a style that makes you feel beautiful and confident. Keep in mind that even a bralette with underwire may not be big enough and provide enough support if you wear a larger cup size—like a D cup and up. Wear a black cotton bralette under a white T-shirt with black denim pants for a day or night look, depending on what accessories you choose. They can also be worn to bed. Put on a lace bralette under a partially unbuttoned button-up shirt with a pair of black pants for a night out. Wear a low cut shirt with a bralette patterned with dinosaurs or bugs for a cute and quirky look. Put on a lace dress with a bralette patterned with flowers for a lovely, feminine look. 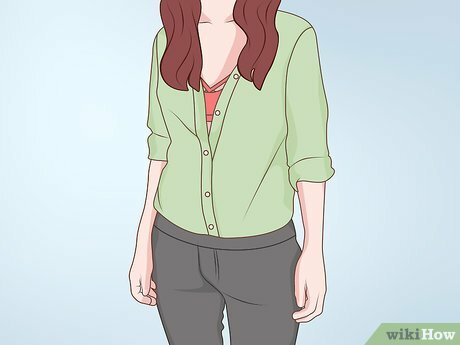 Wear a low cut T-shirt with a lacy bralette and skinny jeans for a nighttime look. Put on a low cut tank top with a patterned bralette and a skirt. You can also pair the bralette with a high waisted skirt if you don’t want to show as much skin. Wear a mesh black shirt with a solid black bralette and a pair of pants in a pastel color for a night out. Wear a solid black bralette with a long, high waisted skirt and sandals for a day out. Put on a lace bralette with loose, boyfriend jeans and nice sneakers for a daytime look that would be great to run errands or go out with friends. Put on a long, semi-sheer sweater with black pants and black boots for a day or night look. Choose a bralette that is trimmed in lace. 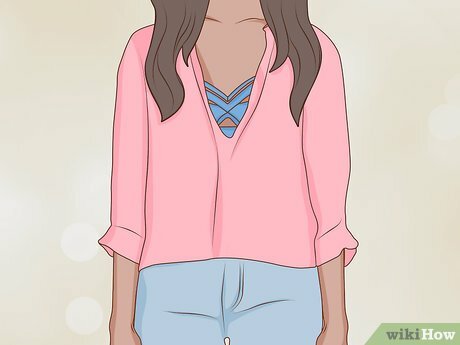 Wear a V-neck shirt that shows only the trim of the bralette. Wear a cotton sweater with the sleeves rolled up. Pair the sweater with white pants and sandals for a day out. 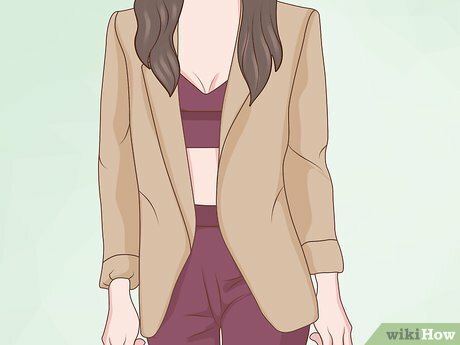 Wear the bralette with white button-down shirt, black slacks, and brightly colored stilettos or ballerina flats for a night out. Wear your bralette as a shirt under a pair of overalls for a cute and comfortable summer look. Find a bralette that has a matching pair of underwear if you plan to wear it as lingerie. Keep in mind that it may go against dress codes at work or school if you wear the bralette completely exposed or as a shirt. Article provided by wikiHow, a wiki that is building the world's largest and highest quality how-to manual. 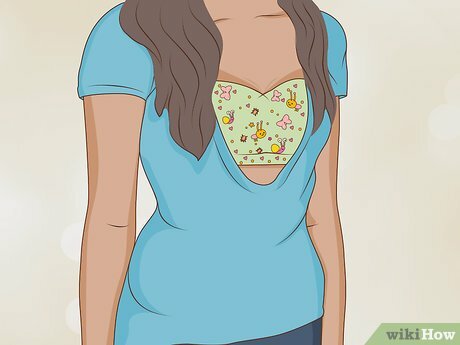 Please eidit this article and find author credits at the original wikiHow article on How to Wear a Bralette. Content on wikiHow can be shared under a Creative Commons License.